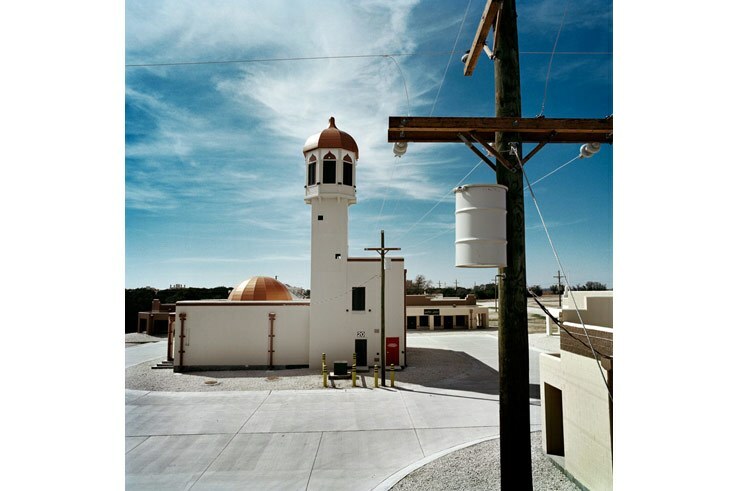 Herlinde Koelbl is one of the most often discussed photographers in Europe and internationally renowned for her images of topics of acute contemporary relevance, most recently the refugee dramas in the Middle East and in the Mediterranean. 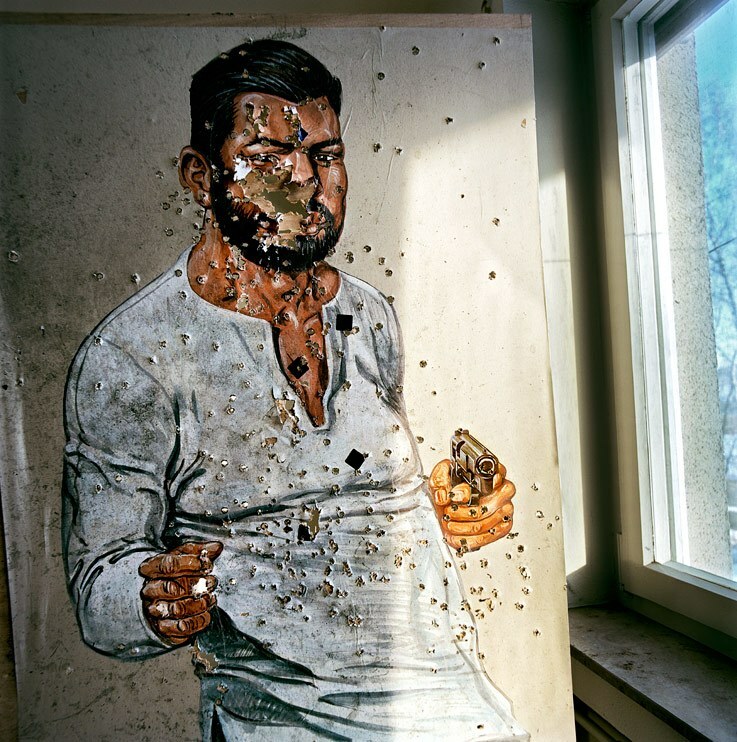 TARGETS, a thought-provoking exploration of the subject of the violence of state weapons, brings a convergence of a journalistic documenting eye and high artistic demands: over a number of years, Koelbl accompanied a diverse array of armed forces, portraying not – as would seem most obvious – the soldiers, both male and female, but rather their shooting targets. The original “target” photograph was taken over thirty years ago whilst doing a story on the German Federal Armed Forces: an early morning backlit photograph of crossing a field behind enemy lines. 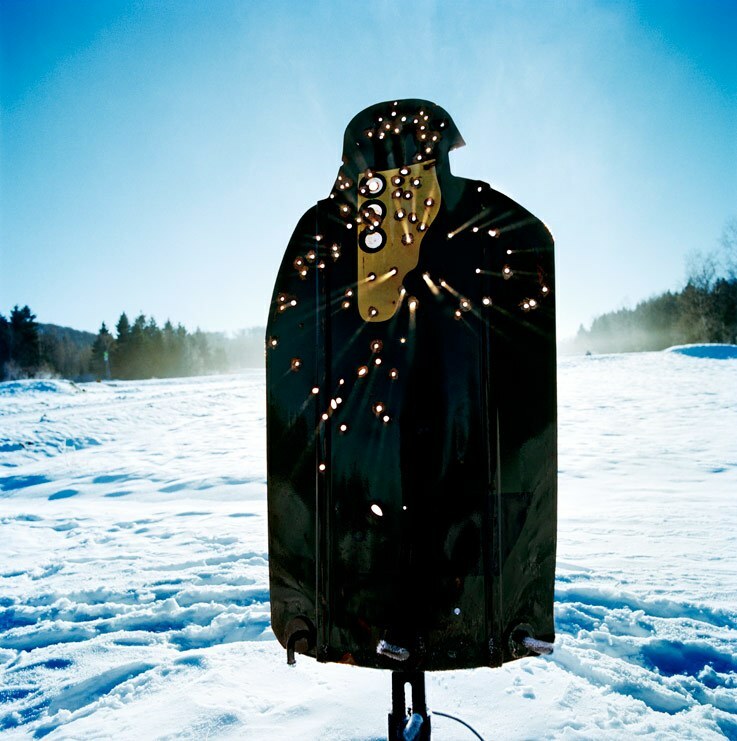 The object riddled with gleaming bullet-holes immediately became a symbol of violence and death. 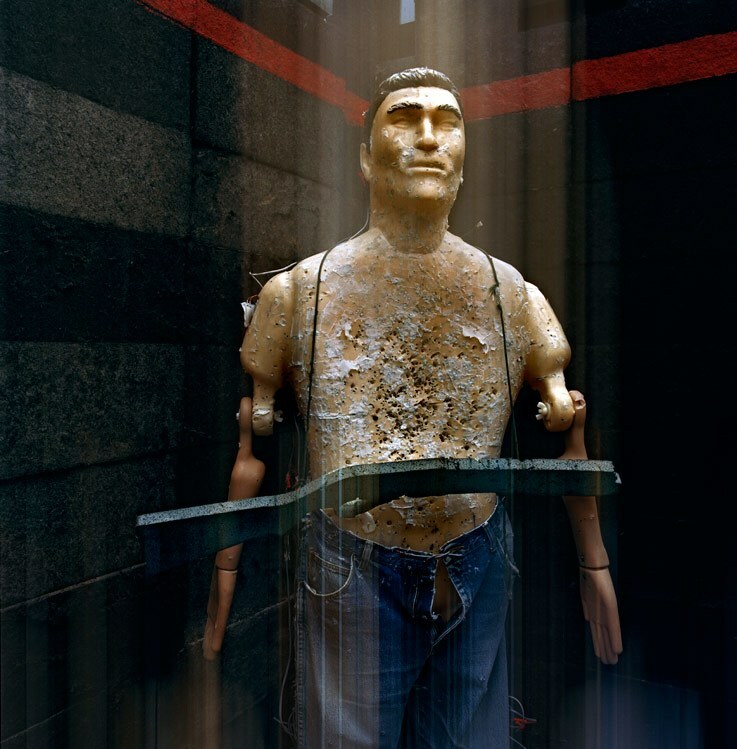 Six years ago, the photographer returned to the subject and TARGETS is the resulting work. Today dark-skinned men in Middle Eastern clothing are taken aim at. And if the training camps of soldiers are mirrors of the world of enemies, why then after decades of German and French friendship is France constructing a ghost town with streets such as Berliner Straße and Goethe Straße? In 2014 Herlinde Koelbl expanded the exhibition with a visit to the Pyin Oo Lwin barracks in Myanmar in collaboration with the Goethe-Institut. 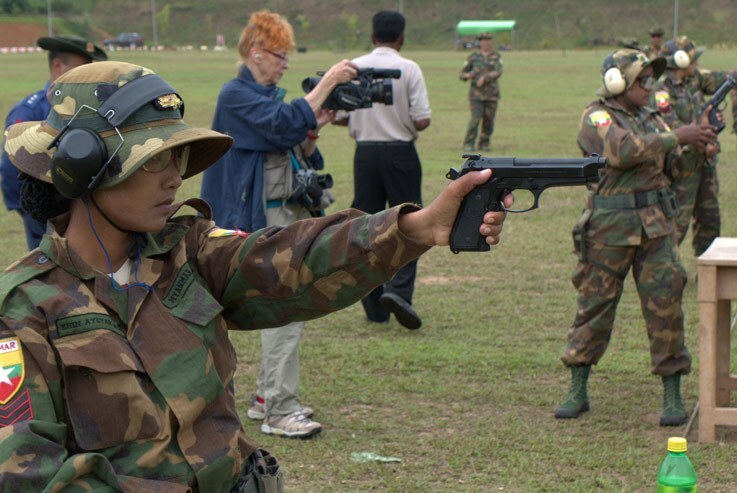 In the midst of vegetable allotments in the hinterland of Myanmar immense shooting ranges sprawl with the most up-to-date equipment. The targets, at a distance of 30 metres from the shooting gallery, are the British variant, the most usual image still today in most former colonies, that of an attacking adversary mouth open in a war-like manner and bayonet fixed. Up by the shooting range, a group of young female soldiers are preparing for the morning shooting practise. 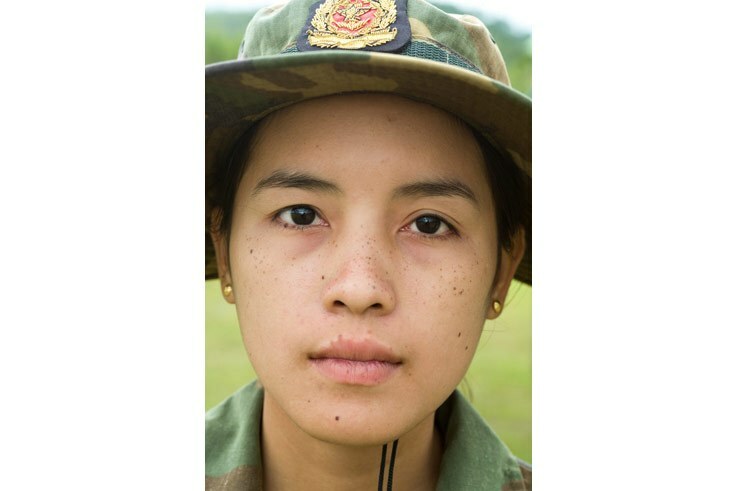 Slender figures in camouflage-patched army fatigues, their faces speak of the ethnic diversity of Myanmar, vestiges of the omnipresent thanaka paste on their cheeks. The moment they take up their position, every last trace of uncertainty occasioned by the foreign observers disappears from the faces. Now they are female soldiers, their expressions tense, focussed and hard. Of the five shots each, almost all hit the paper enemies between the throat and the forehead. In personal conversations and interviews Herlinde Koelbl captured the innermost essence of the soldiers and gave their voices – euphoric or dejected – a forum to be heard. It sounds dreadful, but you have to learn to kill automatically in order to function. When I decided to be a soldier I agreed to kill and to be killed. That is part of the job. I joined the army out of a sense of pride and honour. I wanted to be part of the history of my country. You can do something for your country. The armies portrayed could not be more different from one another – that is true also of their shooting targets and the training camps for their troops. 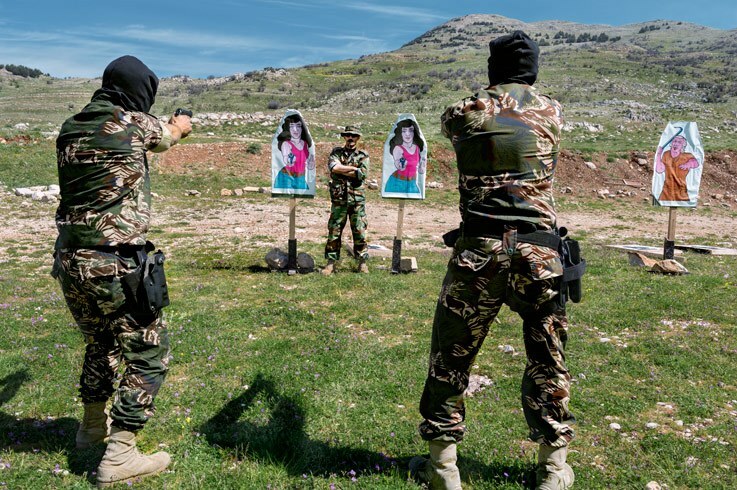 In the Arab realm soldiers aim at Western women in relaxed dress with long, loose hair and revolvers in their hands whilst in other armies abstract targets are used. 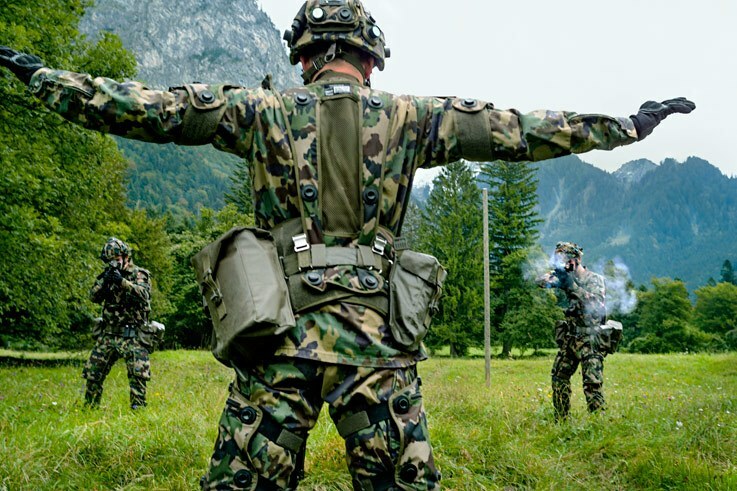 The higher the defence state, the more striking the technology: mobile, travelling and pop-up targets may be part of the inventory as may high-tech simulation systems that create battles in real-time. I feel guilty when someone from my group is killed. One questions everything one has ever done. In Iraq a child aimed a weapon at us and we shot the child dead. Later we noticed that the weapon was not loaded. Then you ask yourself, was what you did right? You try to suppress those thoughts but they keep coming back. Does Tucholsky’s sentence “soldiers are murderers” have unqualified validity? That would mean war could be explained in black and white. 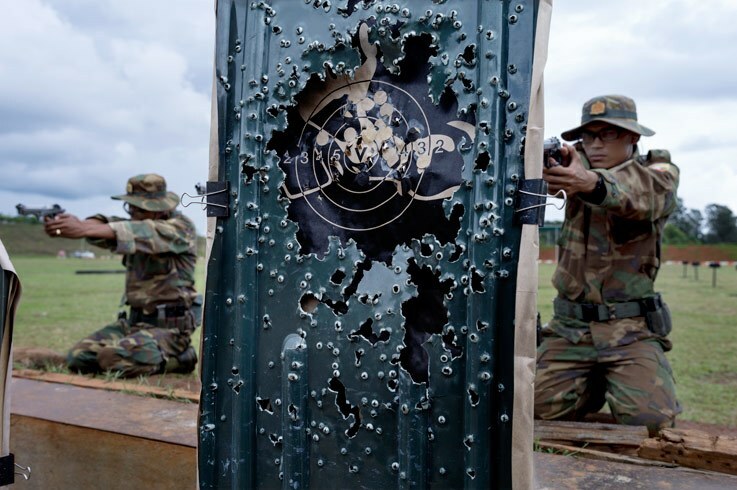 TARGETS on the other hand makes no judgements, nor do the shooting practice targets condemn the soldiers. For it is equally clear to Herlinde Koelbl that a world without weapons remains an illusion. 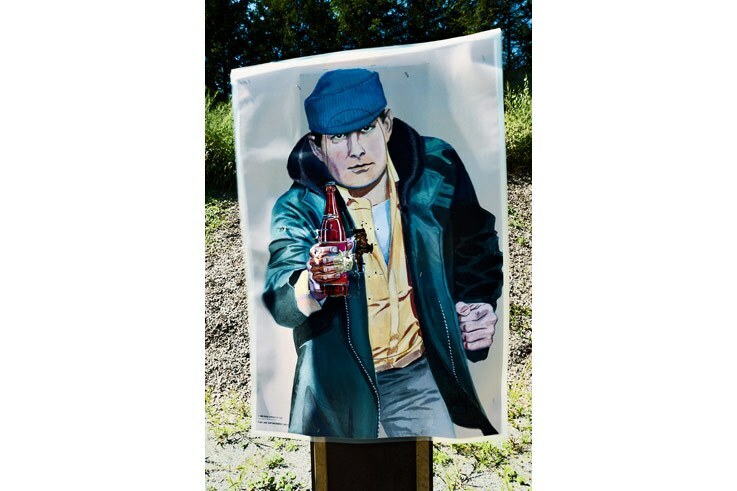 Pictures and quotes from the exhibition TARGETS appeared as a photography book published by Prestel Verlag in 2014 entitled Herlinde Koelbl: TARGETS.